In February 1981, Lizabeth Nicholls became the first to fill the community coordinator position. Nicholls had been a teacher in northern Ontario before moving to Regina in 1980. Arriving in Saskatchewan, she was shocked to learn inner city schools had a 93 per cent drop-out rate among First Nations children. She was determined to do something about it, starting with school attendance. Nicholls made it her job to get to know the Cathedral Area community and its Aboriginal families. “The coordinator’s job is 24-7, not like a school board social worker. It was like being a teacher in a northern community – you were always on duty,” explains Nicholls. She met parents at the school door and invited them in for coffee, but she didn’t confine herself to the school grounds. Nicholls called her approach “managing by walking around” – meeting people, sitting and chatting on their front steps and drinking many cups of tea. Some of the children belonged to overwhelmed single-parent households, and skipped class to care for their siblings; others just didn’t feel they fit in. 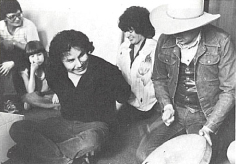 By making home visits a priority and by problem solving between the students, parents and school, Nicholls says she was able to increase the attendance of the First nations and Métis students to 96 per cent by June of 1981. At the school, Nicholls organized a ‘mini-mosaic’ to celebrate cultural diversity at Connaught and set up a student newspaper. She also helped the newly-hired Teacher Associates find housing and financial assistance to top up meagre part-time salaries. Far from being equal partners in delivering education, as the model had promised, the new community school hires were poorly paid and shown little respect, notes Asikinack. After five months, Nicholls stepped down as coordinator but remained an active parent volunteer on the SCC. There were occasional tussles with the principal, for example over what to do with library books that stereotyped Aboriginal people. But the council met with teachers monthly and gradually built mutual respect. Photo: Field trip to the Saskatchewan Indian Federated College, 1980. Connaught Yearbook. The strife had taken a toll on those involved, and on the effectiveness of the program. Between 1980 and 1983, Connaught went through four different community school coordinators, and changed principals twice. And in early 1983 the intensity of the conflict was illustrated when – protesting the principal’s choice of a new school logo featuring a gun-toting cowboy – the community school council temporarily froze its accounts, effectively paralysing the program. Amidst that divisive climate, the school community also had to face down racism against the First Nations and Métis students that the program had in large part been designed to help. Many Aboriginal parents were reluctant to come to school at all. Many had come to resent or fear the school system after bad experiences growing up. 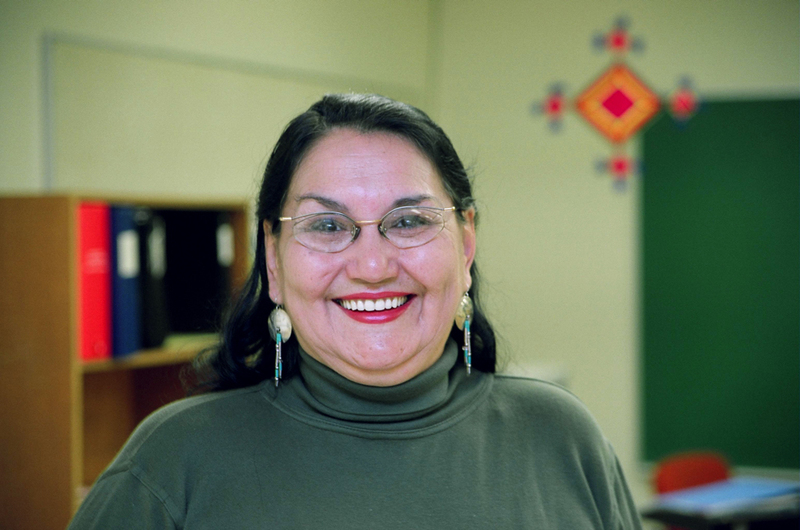 Why Aboriginal parents avoided the school is “a long history lesson, around residential schools and the limited participation … that First Nations and Métis people have had in the school system,” says Bev Cardinal, who followed Nicholls as community coordinator. Cardinal says that even as an adult she was nervous about becoming involved with the community school initiative, and sceptical that she would be taken seriously. 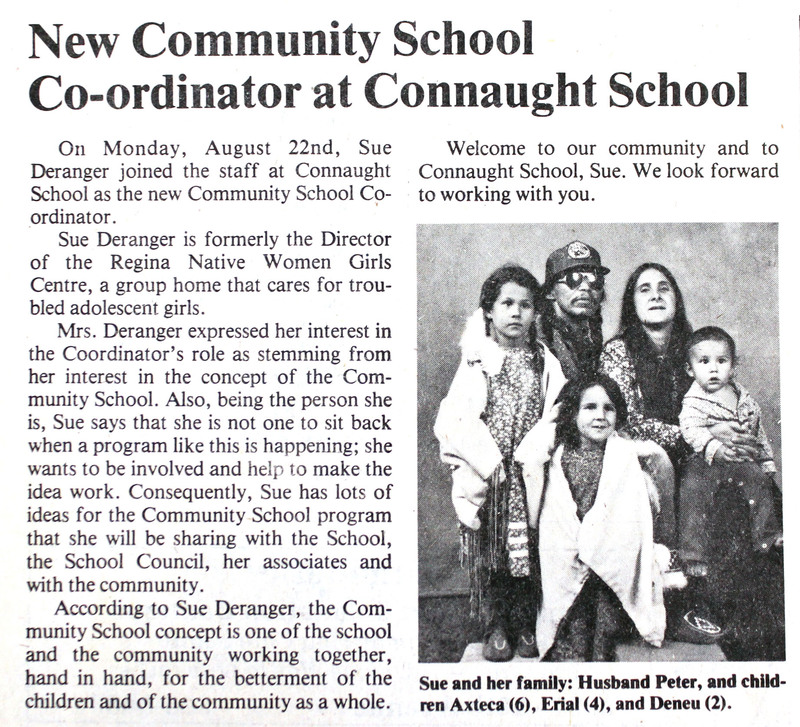 Sue Deranger, Connaught’s fourth community school coordinator, remembers starting work in a school where discrimination was still embedded in the educational process. “There was a lot of misunderstanding still,” she says, recalling the arguments required to have the phrase ‘I is for Indian’ (and the accompanying head-dress-wearing caricature) removed from the alphabet on a classroom wall. She carried on the campaign to improve school reading materials. Above: Article in the Cathedral Village Voice, Sept. 1983. That was a big boon, she says, to nervous parents who didn’t want to come face to face with the principal. From the beginning, the coordinator’s office was a drop-in spot for parents, and students as well, who had concerns they didn’t want to take to teachers or school administrators. It wasn’t enough to wait for troubled students or parents to drop in, however. Home visits included referring parents to support services, or providing families with donated food that Deranger stockpiled in her office. But Deranger says her greatest success in reaching out to First Nations students came through an unlikely medium: a dance group. The groups helped its non-Aboriginal members learn about another culture, Deranger says, but it also gave First Nations girls who “didn’t feel a part of anything … (and) didn’t feel comfortable” at school a way to build self-worth. It also inspired them to improve academically – good grades and good attendance were required to remain part of the group. And as the group improved, it became a popular act, invited to schools and gatherings around Regina. Deranger considers the dance group her most successful program, but there were many, many other new programs throughout Connaught’s early years as a community school, made possible by rising involvement from parents and community members. New student sports teams were created, guest speakers and out-of-town field trips became commonplace and fundraisers for charities and school programming were held. But many, if not most, of the new programs weren’t for students. They were for the general public, putting Cathedral’s new community school at the service of the community. Athletics, from boxing to gymnastics, and classes on everything from guitar, to car repair, to beadwork, to parenting sprung up at Connaught during the early 1980s. 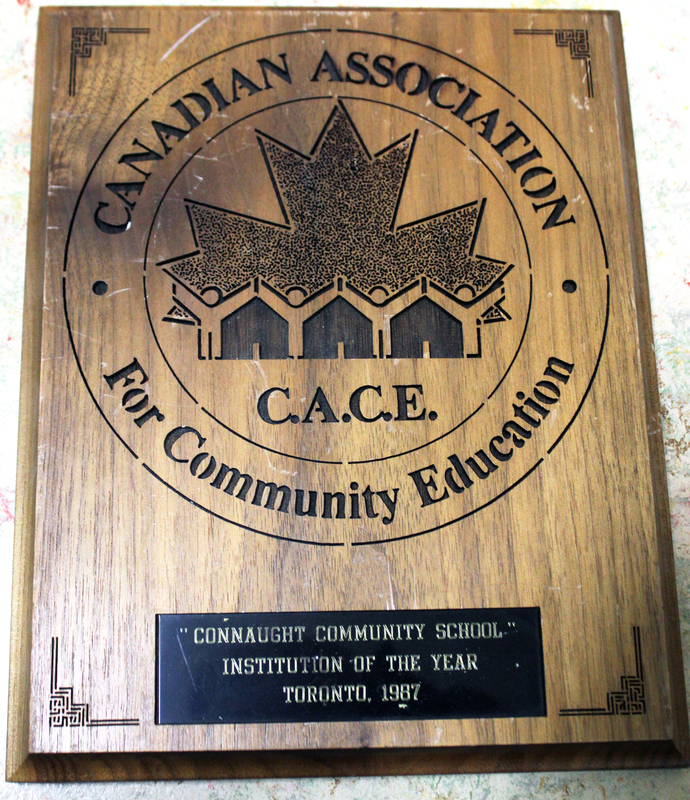 In 1984, the school basement was reshaped with the addition of the Wise Owl day care centre, and a multipurpose room refinished by volunteers, which became the meeting place for adult education classes. Connaught was a “sleepy school” no longer. The changes brought on by becoming a community school were largely well received. In 1983, Saskatchewan’s department of education reviewed the community school program province-wide; the education minister deemed it an “outstanding success,” and funding was renewed. As part of her Master’s degree graduate studies, Nicholls headed up a review survey of Connaught’s program, from the point of view of the parents and students. The study found most people in agreement with the minister – that a majority of students and parents polled deemed the school ‘good’ or ‘very good’ in every category. Cardinal and Beechy added an appendix after the results chapter, outlining the difficulties faced by the community members in trying to work in partnership with the school and board administration, and calling on the province to expand community involvement. Nicholls spent some time working with the provincial education department, where she was able to draw on her first-hand experiences at Connaught. When the department floated the idea of tying student tests scores to community school funding as an incentive, she argued strongly – and successfully – against the idea. “I said we had to stabilize neighbourhoods and concentrate on housing,” she recalls. Connaught was still a long way from perfect, of course, and plenty of new problems lay ahead. 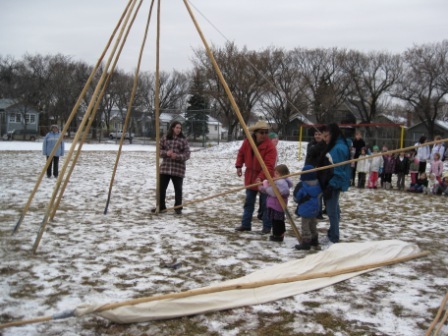 But it had helped write a new chapter in Regina education, and helped extend a much-needed bridge between school and community, and between Aboriginal and non-Aboriginal people. It was an important step to take as the school’s First Nations population continued to grow, today comprising roughly half the student body. Connaught and Cathedral had taken the community school program, made it their own, and then made the most of it. It was a process that had taken years of work and no shortage of argument, but there were few who’d say it wasn’t worth the effort. In 2001 a provincial task force recommended expanding the community school philosophy to all Saskatchewan schools. Thus the approaches incubated at Connaught and other early community schools became the model for all to follow. Emily Thomas-Asiniwasis. Photo courtesy of SGEU. But with expansion came boiler-plate constitutions and a more narrowly defined mandate to create Learning Improvement Plans in support of the province’s ‘continuous improvement’ objectives. In 2009, further changes placed more decision-making in the hands of principals and school board administrators, leading to the gradual ongoing phase-out of community school coordinators in Regina Public, although not in the separate system. Connaught’s last community school coordinator was Emily Thomas-Asinawasis, well remembered as a bedrock to Cathedral Area families. Visit our online digital archives for news clippings, correspondence and documents related to these events.